TGIF, amigos! Yesterday we drove up to my parents house in the gross rain for my brother’s graduation this weekend. If you’re in my neck of the woods, stay dry today! 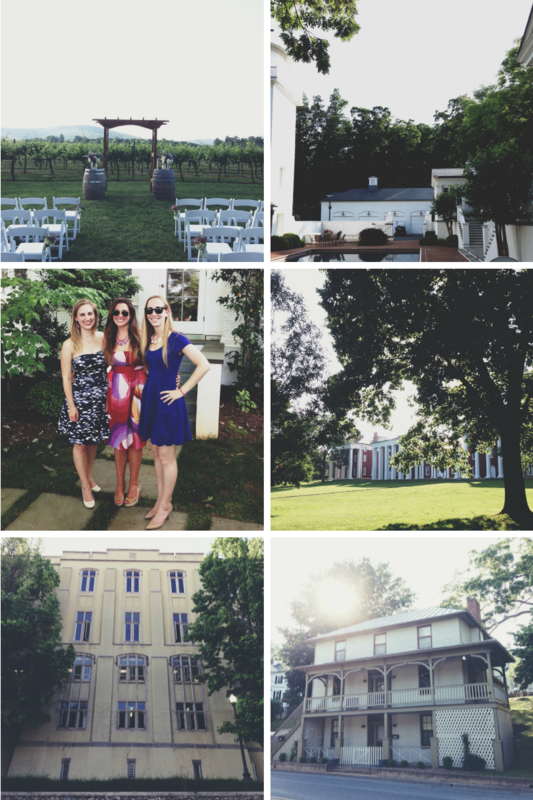 Last weekend one of my friends from college got married in Charlottesville. It was seriously amazing. I barely captured the prettiness on my phone, so that should give you an idea of just how gorgeous the whole thing was. And it’s always fun to catch up with old friends and frolic around our old stomping grounds. This weekend we’ll be doing the whole graduation party and actual ceremony thing. I can’t believe my baby brother is graduating from high school! I feel ancient. What are you up to this weekend, friends? I know I’ve shared this before, but PicMonkey is a pretty cool. It took like 3 minutes to make the collage above. I’m kind of obsessed with this post on Oh Joy. Because I’m into thank you notes. LaBelleMel got a makeover yesterday!